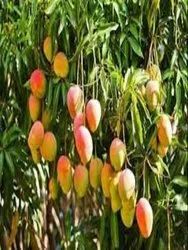 Our range of products include keshar mango tree, purple mango plants, hafus mango plants, alphanso mango plants, dasheri mango plants and langro mango plants. 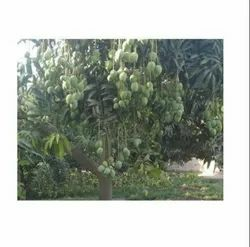 With the help of capable vendors, we have been proficient to offer an extensive range of Kesar Mango Tree, is available in varied forms at nominal costs. 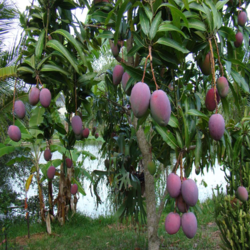 We are offering purple mango plants to the clients. Plantation distance 15*15 feet. Ready to harwest withiin two year. There is a good chance you have heard of the small spherical Alphonso mangoes, and perhaps even believe it to be the 'king of mangoes' which is how it is marketed. Native to Maharashtra, it is also grown in Gujarat and parts of Karnataka and Madhya Pradesh. This is perhaps the most expensive variety of Indian mangoes and is exported in plenty. Whether it is the tastiest of them all, is something that the jury is still out on. The variety is named after Afonso de Albuquerque, a Portuguese general and military expert who helped establish Portuguese colonies in India. The Portuguese introduced grafting on mango trees to produce extraordinary varieties like Alphonso. The fruit was then introduced to the Konkan region in Maharashtra, Goa and some parts of southern states of Tamil Nadu, Karnataka and Kerala. 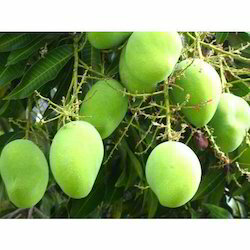 The Alphonso is also one of the most expensive varieties of mango and is grown mainly in western India including places such as Sindhudurg, Ratnagiri and Raigad districts and in the Konkan region of Maharashtra, India. Each mango weighs between 150 and 300 grams. 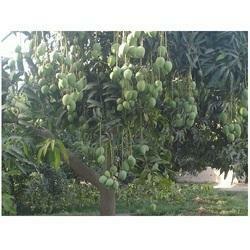 Our company supplies best quality larger mango grafted plant. Ours comply deliver plants in all over India. If lion is the king of Gir forests, who do you think is the queen? Well, here are some hints. She is a saffron-hued beauty that exudes a breathtaking aroma. We are talking of none other than Gir Kesar — the most exported and a sought-after mango. Gir Kesar mango grows abundantly at the foothills of Girnar mountains in Gujarat’s Junagadh district. The genesis of this unique mango variety can be traced back to 1931, when wazir Sale Bhai planted 75 grafts at Vanthali in Junagadh Laal Doori Farm. It apparently got named by nawab Muhammad Mahabat Khan III in 1934, when the fruit's rich, orange pulp reminded him of saffron, aka kesar. 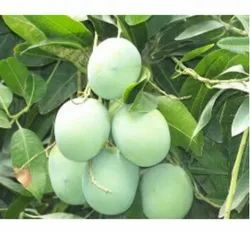 Today kesar mango orchards are spread across more than 20,000 hectares in Junagadh and Amreli districts of Saurashtra region. While the annual production is about two lakh tonnes, only those mangoes which are grown around Gir sanctuary in Talala are officially known as Gir Kesar. Grown exclusively in this part of the country, Gir Kesar won the Geographical Indications (GI) tag in 2011. 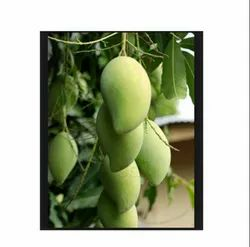 It became the first agricultural product from Gujarat and the second mango variety in India — the first being Uttar Pradesh's Dasheri - to bag the coveted tag. With such a rich heritage, Gir Kesar couldn't have been called anything but the queen of mangoes. 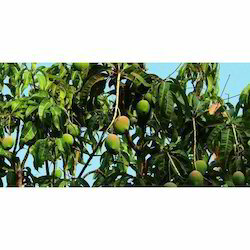 Our company supply grafted mango fruits plants. Plantstion distance 10*10 feet to 20*20 feet, ready to harwest within 24 months. Mallika' is the result of the hybridization of the Indian mango varieties 'Neelum' The variety was introduced by Dr Pijush Kanti Majumdar. When grafted, the tree will remain a manageable size and is appropriate for dooryard growing. Fruit is normally ready to harvest from June to July. Fruit'Mallika' produces high quality, fiberless orange fruit. The fruit has prominent citrus, melon and honey notes and is exceptionally sweet. The cultivar met a positive reception at the Fairchild Botanic Gardens International Mango Festival. Looking for MANGO PLANTS ?